Whether you want to age in your home, or an aging-oriented facility you will need the resources to pay for your care if you have become unable to fully care for yourself. 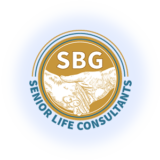 At SBG Senior Life Consultants, we work hand-in-hand with our clients and their families to help get the benefits from their Insurance contracts paid so they can afford the care they need and achieve their very best quality of life. If you are one of the many older adults who have purchased a Long Term Care policy you will turn to your insurance company to pay your benefits when you need that care. Many people needing to activate their LTC policy benefits get overwhelmed by the insurance company roadblocks or don’t have the ability to navigate the steps needed to file a claim. All Communications with your insurance company. Communicate with your health care providers. Work with your home health agency or aging facility. Guidance for you and your family until your benefits get paid. Contact us by calling 914-220-2933 to learn more. Sandi Gaglio is a Senior Health Care Advocate and Long Term Care planning Advisor who understands Long Term Care polices and the methods that the companies use to evaluate claims. Working on her clients behalf, Sandi will take away the worry and fear in dealing with the filing of the claim and provide the service and guidance needed to help individuals and families receive the LTC benefits they paid for and deserve.